The Summit Area YMCA is committed to sustaining a culture in which healthy lifestyle choices are provided and promoted. Our Y will empower employees to achieve wellness goals by directly supporting physical, emotional, spiritual, and social connections all people need for a healthy, well-balanced lifestyle. The Y supports the ongoing journey into greater wellness for the whole person. The Berkeley Heights YMCA is looking for Before & After-School Staff for the remainder of the 2019 school year. This is a great opportunity to join our enthusiastic and devoted team! The Berkeley Heights YMCA is very close to public transportation. The branch is less than a 2 min walk from the Berkeley Heights train station and a 2 min walk from the Lakeland Bus Route stop on Plainfield Ave & Springfield Ave. The After School instructor is responsible for maintaining a fun, friendly, well-rounded, safe environment for children to safely spend their after school time, while providing all children with a diverse and enriching program. The Art Instructor provides a diverse and enriching art program for participants, following guidelines set by Youth Director and maintain a safe environment for children. The Barre Instructor leads group classes in a safe, enjoyable, and positive environment that promotes member wellness and engagement in accordance with YMCA policies and procedures. The Summit YMCA is seeking Barre Sculpt instructors for evening and Saturday morning classes! If you have a special ability and enjoy sharing it with others, please join our community and contact us for an opportunity to work at the Y! The Barre Sculpt Instructor leads group classes in a safe, enjoyable, and positive environment that promotes member wellness and engagement in accordance with YMCA policies and procedures. The Summit Area YMCA is seeking energetic, enthusiastic and dedicated individuals to lead various activities for themed children's Birthday Parties. The Berkeley Heights YMCA seeks a bus driver with CDL (incl. school bus and passenger endorsements) to transport children to and from before and after school programs. The hours may vary weekly up to a max of 20 hours a week on a year round basis. Bus driving salary range from $17-$18 depending upon bus driving experience. The Cheerleading Specialty Counselor works with the Camp Director to create a cheer camp program that will aim to instill self-confidence, leadership and teamwork in a fun environment, while learning rhythm, tumbling and dances. They are responsible for creating cheer routines appropriate for the skill level of the children enrolled in camp. The YMCA Camp Counselor is responsible for providing a diverse and enriching camp program following the guidelines set by the American Camping Association and the YMCA while maintaining a safe and enriching environment for children. They are responsible for implementing the activities set up by the Head Counselor, Coordinator and Director. They must maintain proper camper to counselor ratios at all times. The Summit YMCA is seeking Group Exercise instructors for early morning classes! The Group Exercise Instructor leads group classes in a safe, enjoyable, and positive environment that promotes member wellness and engagement in accordance with YMCA policies and procedures. The Gym Supervisor is responsible for managing all aspects of the Hubbard Gymnasium, inclusive of sports equipment, sports scheduling, supervising activities, character development (gym etiquette and sportsmanship), and safety and security of the YMCA facility and members. The YMCA Head Camp Counselor is responsible for providing a diverse and enriching camp program following the guidelines set by the American Camping Association and the YMCA while maintaining a safe and enriching environment for children. They are responsible for planning and implementing activities that coincide with the weekly camp theme in addition to maintaining rosters and other camp documents deemed appropriate by the coordinator/director. Must maintain proper camper to counselor ratio at all times. Head counselor is responsible for supervising children at ALL TIMES. The Head counselor will demonstrate the proper procedures and lead by example for running day to day camp activities. The Summit YMCA is seeking certified Yoga Instructors for "Hot Yoga" for classes in the early/mid morning and weekend! Instructors must have experience teaching in a HEATED environment. The Learning Circle YMCA, a branch of the Summit Area YMCA, is seeking a Full Time Infant Teacher for their year round program. The Jr. Camp Counselor is responsible for providing a diverse and enriching camp program following the guidelines set by the American Camping Association and the YMCA while maintaining a safe and enriching environment for children. They are responsible for implementing the activities set up by the Head Counselor, Coordinator and Director. The Kid Zone staff provide a quality and safe drop-in babysitting program for members and participants 6 weeks to 10 years old. The Summit YMCA is seeking a Kidventure Teacher. Kidventures is a discovery program for children ages 2-4 which includes arts and crafts, story time, music and movement, indoor/outdoor active play and weekly library visit. Children learn to socialize, explore and have fun in the Summit YMCA. The Summit YMCA is seeking Lifeguards! We offer flexible schedule and competitive compensation. Benefits include a free YMCA employee membership! The Martial Arts Instructor for ages 12-15 is responsible for the planning, instruction, follow-up and all other aspects of assigned class(es), along with providing a fun & well-rounded and safe environment for teens participating in Program Classes. The instructor will adhere to the YMCA Supervision and Safety Standards. The Member Service Representative ensures the Branch objective of improving acquisition and retention of members. Working in the membership team with both staff and volunteers, they have the vision to see new opportunities and respond to them using critical thinking. They use their creative problem-solving skills to ensure member satisfaction and retention. They handle and resolve membership concerns and inform their supervisor of unusual situations or unresolved issues. They sell and cross sell programs and membership to reach their individual and team goals. 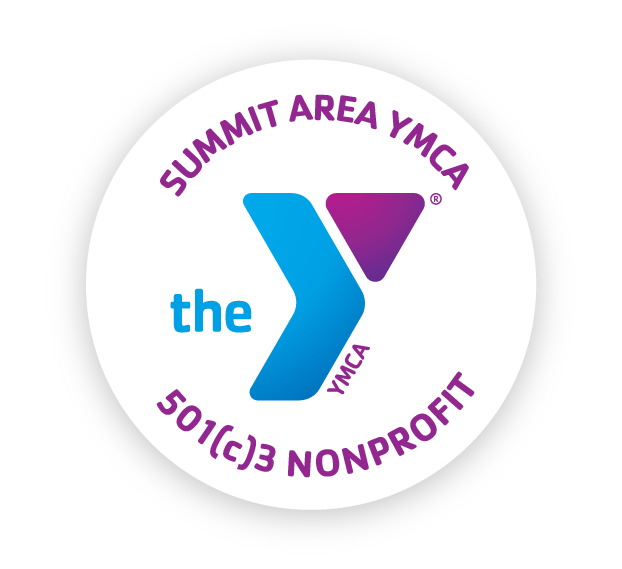 They educate members about the Summit Area YMCA’s Annual charitable campaign to help achieve team goals. They promote the YMCA’s integrated technology, like “Mind Body” and the Y App. The Member Service Representative conducts the daily desk operations completely and accurately. They also may conduct tours of the facility for potential members as needed or if designated. The Member Service Representative is responsible for creating and nurturing a seamless and meaningful YMCA member experience, from first point of contact when members walk through the door to daily engagement of current members in order to provide outstanding service. The Member Service Towel staff person is responsible for making sure that the towels are collected, washed and folded so that members can always have towels when they come in to work out. They also help to maintain order and cleanliness in main lobby. Are you currently attending cosmetology school? Want to build your resume and show the world all you know and love about the wonderful world of makeup? SAY is searching for a lead counselor for Movie Makeup Camp, candidate will have to provide portfolio photos of abilities in zombie makeup, beauty and glamour, fake cuts, burns etc. and design for film and stage acting. The Personal Trainer is responsible for developing, training, and overseeing safe and effective exercise programs for individual members that will help the member achieve their fitness goals in private exercise sessions. The Berkeley Heights YMCA is seeking an honest, professional, hardworking and team-oriented personal trainer to join our team. The Personal Trainer is responsible for developing, training, and overseeing safe and effective exercise programs for individual members that will help the member achieve their fitness goals in private exercise sessions. The Preschool Assistant is responsible for supporting and following the directions of the lead teacher. They assist the children by engaging them, monitoring them, and making sure they are safe. The Swim Lesson Coordinator provides direct leadership, instruction and motivation for students in swimming classes. They follow the guidelines of the YMCA Swim Lesson Program and ensure that participants have a positive and safe learning environment. The Teen Program Staff is responsible for the implementation of youth development and teen activities, ensuring that the program participants receive a quality experience which maintains health and safety as a priority. The programs should include informal, educational and recreational activities which are appropriate for each age and stage of development and support the Y’s 3 focus areas; Youth Development, Healthy Living and Social Responsibility. The Learning Circle YMCA seeks a full time Teacher for their Toddler Program. The Vice President of Financial Development oversees the fundraising strategy of the Summit Area YMCA, one of the area's leading non-profit charitable organizations. The VP is responsible for executing strategies and personally soliciting major gifts from individuals, corporations and foundations for a capital campaign, annual campaign, fundraising events, planned gifts and foundation proposals. The VP of Financial Development serves as a member of the President/CEO's senior leadership team and serves as a resource to the Advancement Committee of the Board of Trustees. If you enjoy helping others reach their fitness goals, the Berkeley Heights YMCA Fitness Department might be just up your alley! The Yoga Instructor leads group classes in a safe, enjoyable, and positive environment that promotes member wellness and engagement in accordance with YMCA policies and procedures. The Youth Instructor is responsible for the planning, instruction, follow-up and all other aspects of assigned class(es), along with providing a fun & well-rounded and safe environment for children participating in Program Classes. The Youth Sports Instructor is responsible for instruction, follow-up, member relations and all other aspects of assigned class(es). They provide a safe, fun, friendly and well-rounded learning environment for participants while adhering to the YMCA Supervision and Safety Standards.